I am fascinated with bracelets. 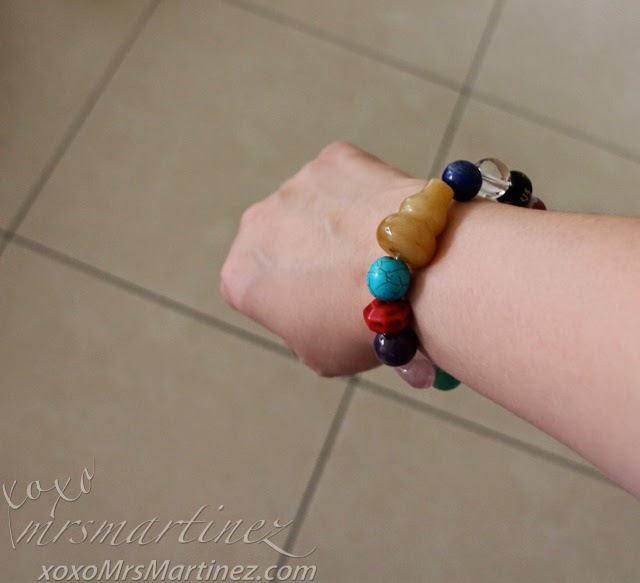 I bought a rose quartz from Thomas Sabo and several glass beads from Trollbeads. You can view my Trolbeads starter kit here and my growing collection here and here. On my recent Malaysian trip, I bought a Black Onyx bracelet. I haven't featured it yet but I am sure you have seen me wearing it in one of my Instagram posts. Yesterday, I had an opportunity to visit Charms & Crystals by Joy Lim after a trip to Bong de Ocampo Couture. All I wanted was just to have a look around and see if anything take my fancy. At the back of my mind, I wanted to take home a bracelet, of course, if the price is right! Anyway, the first question I asked upon entering the store was how much i its basic charm bracelet. I don't want to spend so much because I just deposited money for a gown I had custom-made. You see, I have this connotation that Charms & Crystals by Joy Lim is an expensive brand. Eh, si Kris Aquino ba naman ang endorser, di ba mamahalin yun? I was wrong, in fact, the price was pretty affordable.The least expensive and the one I bought is an All-in-One bracelet. 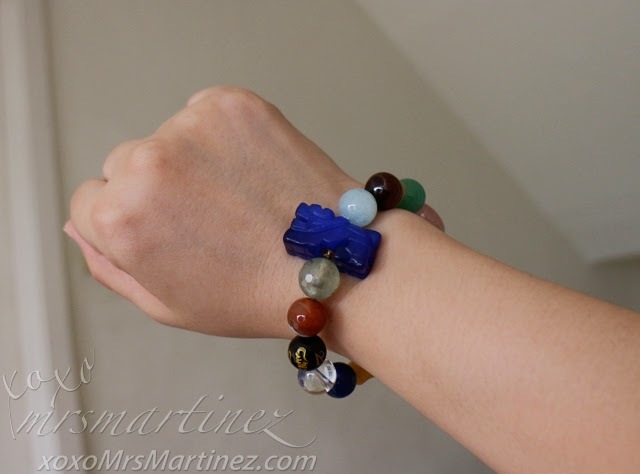 The All-in-one bracelet has crystals in different colors representing the seven Chakras of the body. 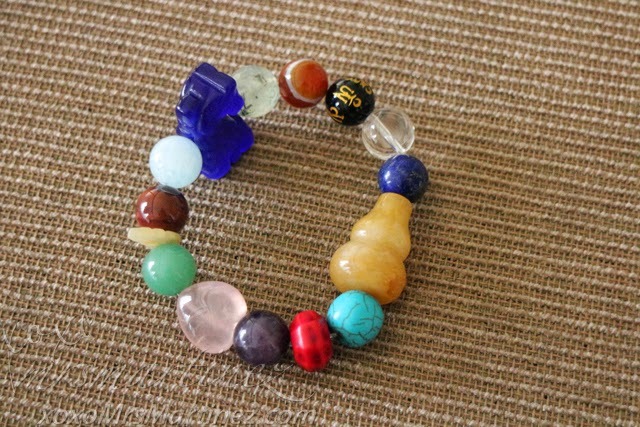 The crystals act as doorways that open the energy portals that connect the physical, mental, emotional and spiritual aspects of our being. Recite your wishes three times. After making your request/s, ask that it retain these as its program and do not forget to Thank God immediately for granting your wishes. You may program your crystals 3x everyday in intense wishes. 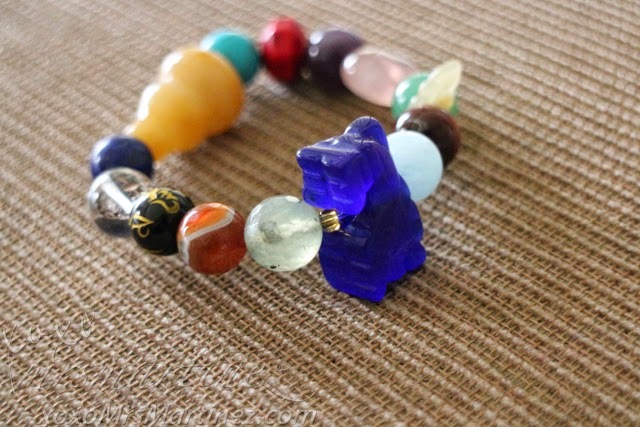 A Holy Gourd made from Yellow Jade was included in this set instead of the compatible Animal signs with Dragon. I specifically requested for a Holy Gourd. 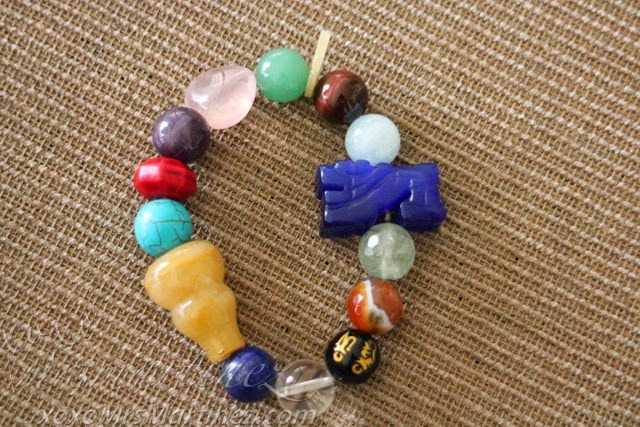 This charm wards off evil spirits and disease. It also symbolizes happiness and good fortune because it resembles the number 8. And you know that Chinese people love anything with 8 in it. My favorite color is blue so it is a no-brainer for me to choose a Cat's Eye in that color. Incidentally, Cat's Eye complements my Zodiac sign, Taurus. If you are not wearing them, place it in its case or place it anywhere in your body like inside your pocket or purse. You can also place it on the altar. 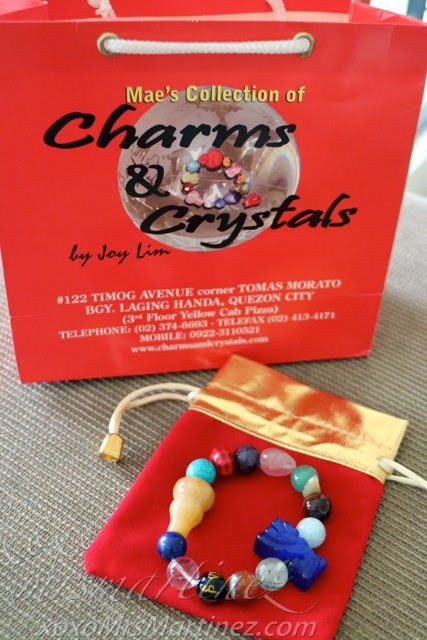 Charms & Crystals By Joy Lim is located in 3/F Junction Building (Yellow Cab Pizza) 122 Timog cor. T. Morato Quezon City. You may also contact them at +632- 4134171 and +632-3746693.